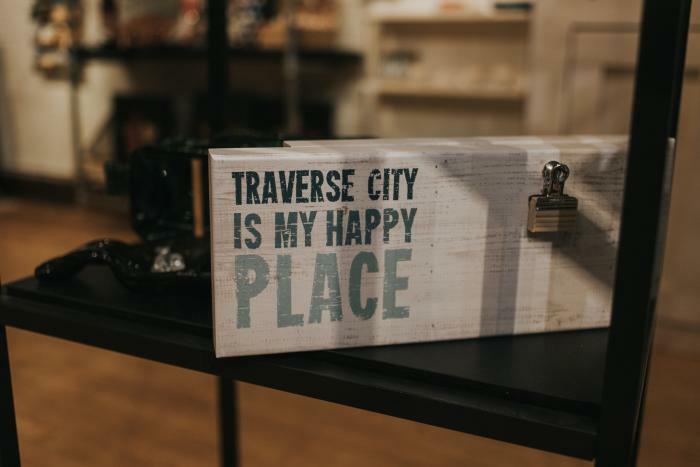 We invited Grand Rapids blogger, Tieka from Selective Potential, to Traverse City to do some Michigan-made holiday shopping. Take a look at where she went. My husband, Eric, and I had a great time doing a little holiday shopping in Traverse City! 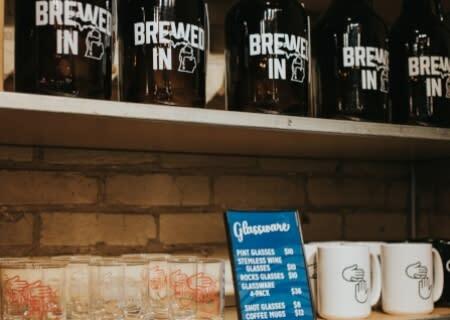 We wanted to check out some of the unique-to-the-area shops, especially ones with Michigan-made products. I love finding those special pieces for gift-giving during the holiday season. We began our day with brunch at Patisserie Amie. It&apos;s such a quaint little place! We loved it. We both started out with a crème brûlée latte. I tried the Asperges crêpe…which was ham, cheese, with béchamel. Eric tried the Omelette Sardalaise with duck fat potatoes, sausage and spinach. We also shared an order of the “critters” (frittered and deep fried croissants). Everything was absolutely delicious, melt-in-your-mouth worthy! We can’t wait to go back next time we’re in town and try something new. Christmastide — adorable little shop full of gifts and ornaments! High Five Threads — an awesome Michigan apparel company using the “land shaped as a hand”. We loved all of the apparel and beer glasses! Silver Fox Jewelry — a wide variety of artisan jewelry and accessories — as well as clocks, purses, and scarves. I fell in love with a few cute hats there! Vintage du Jour — a unique blend of past and present. We loved checking out some of their repurposed and upcycled treasures…everything from lighting, collectibles, jewelry to home decor. All beautifully curated! 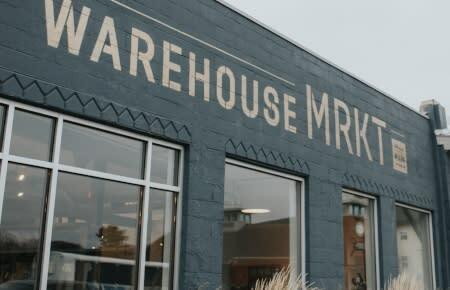 BLK\MRKT — I loved this coffee shop! 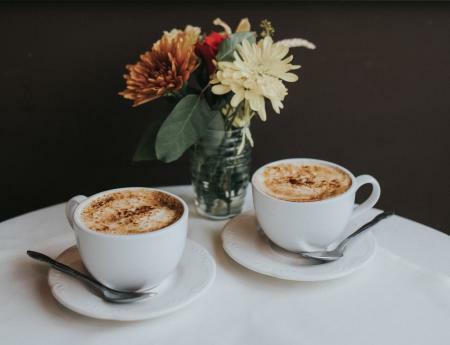 They serve premium artisan coffee and offer up baked goods sourcing local ingredients. Eric and I both went with the housemade chai with oat milk. Yum! Wood+Cloth — one of my favorite stores in Traverse City now! I loved all of their home furnishings, and gift items. We left with a really neat sign and I drooled over their candle selection and pillows. 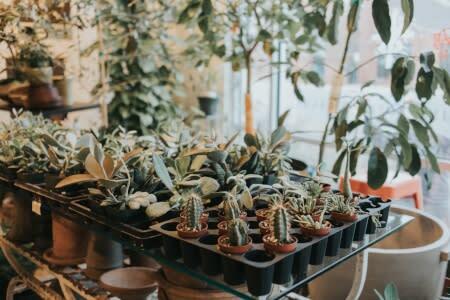 Darling Botanical Co. — I am obsessed with this shop! They are a full service florist and plant shop offering with plants, terrariums, gifts, etc. I loved the build your own terrarium bar…so fun and unique! Relish — such a cute contemporary clothing shop. They had some adorable pieces! I loved their boot options for fall/winter, and they had the sweetest pup hanging out welcoming everyone! One more stop after the Warehouse MRKT was to My Secret Stash — a shop containing over 100 Michigan makers! They had everything gift-worthy from soaps, hats, gloves, coasters, pillows, signage, trinkets, trays, jewelry, you name it. We loved checking out all of the mitten-made pieces. I left with an adorable winter hat and I love that it was made right here in Michigan! We truly enjoyed our morning shopping in Traverse City. There are so many fun locations to visit…we didn’t even make a dent in the options TC has available! But in the afternoon, we were ready for a little wine tasting, so we headed up to Old Mission Peninsula to hit up the wineries before they closed. That only means we’ll have to come back…and soon! Thanks for reading along, and I hope you saw some of your favorite shops featured here. Selective Potential is a Michigan-based personal style blog that features fashion, adventures, travel and lifestyle content. Tieka resides in Grand Rapids, MI with her husband, Eric, and their pup, Winny.